After weeks of not visiting any cafes nor having a single baked egg dish in months we decided that it was time to try a new cafe. It was a toss up was between fouratefive and Orto Trading Co but in the end the one closer to us won this time around. Orto Trading Co has been around for a long time and we’ve always heard great things about it so the decision was easy. baked eggs. sobrasada, charred capsicum, fior de latte, tomato, toast. 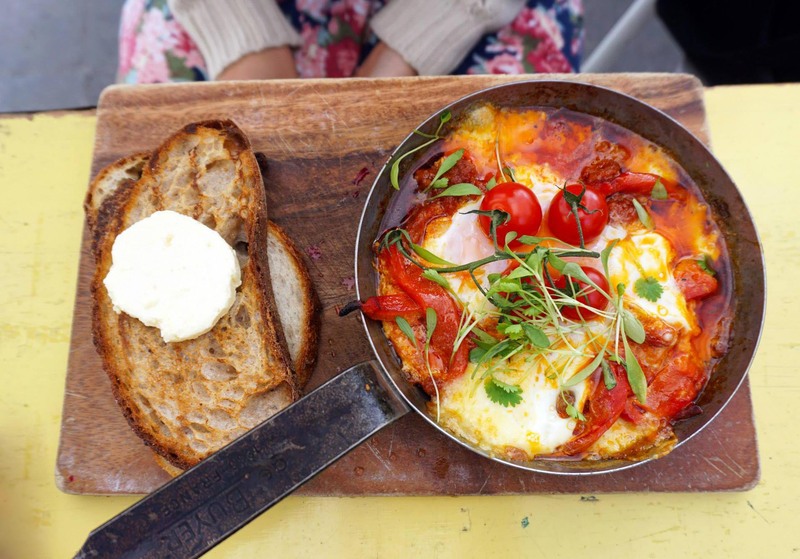 I have to admit this was probably one of the best baked eggs I’ve had in a long time, generous amounts of roast capsicum and cheese smothered in a rich tomato sauce. All served with a really nice piece of toasted bread and butter on the side to mop it all up afterwards. hash. 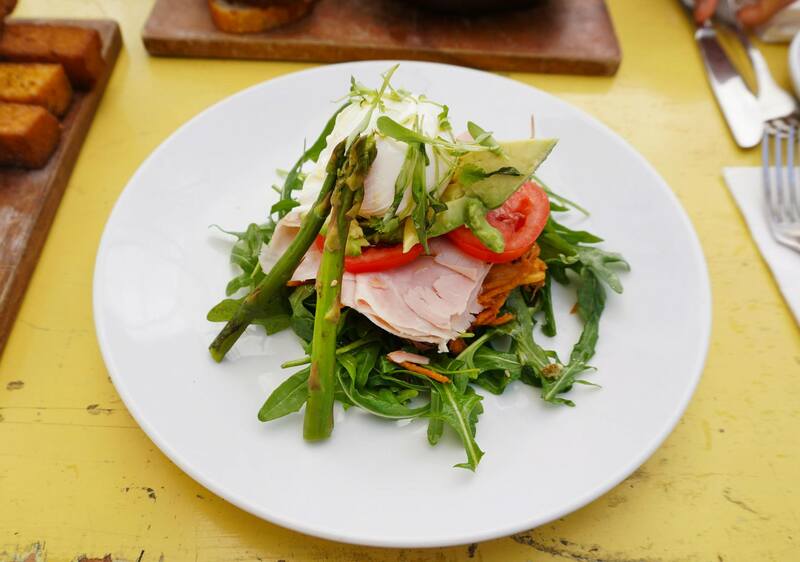 birkshire ham, tomato, avocado, rocket, lemon, asparagus, poached egg. This side was amazing, truffle polenta chips AND blue cheese sauce? 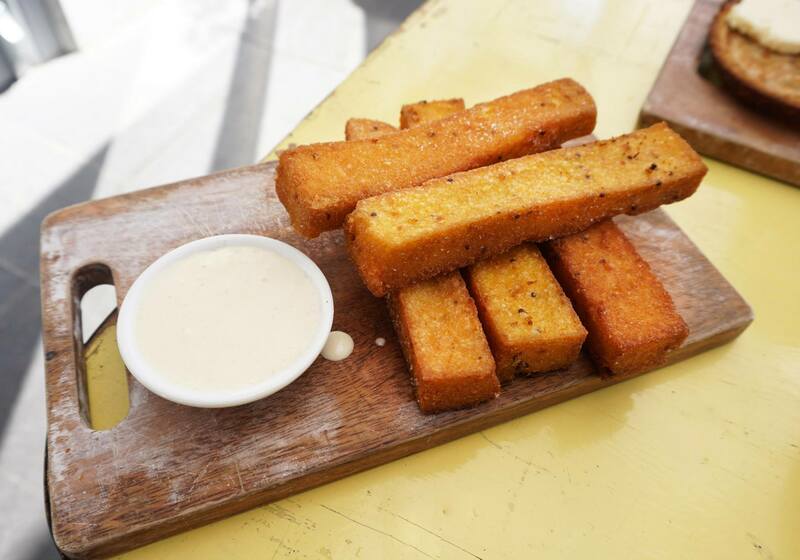 The chunks of polenta were so crispy and flavoursome but being dipped in the blue cheese sauce is what made it perfect. 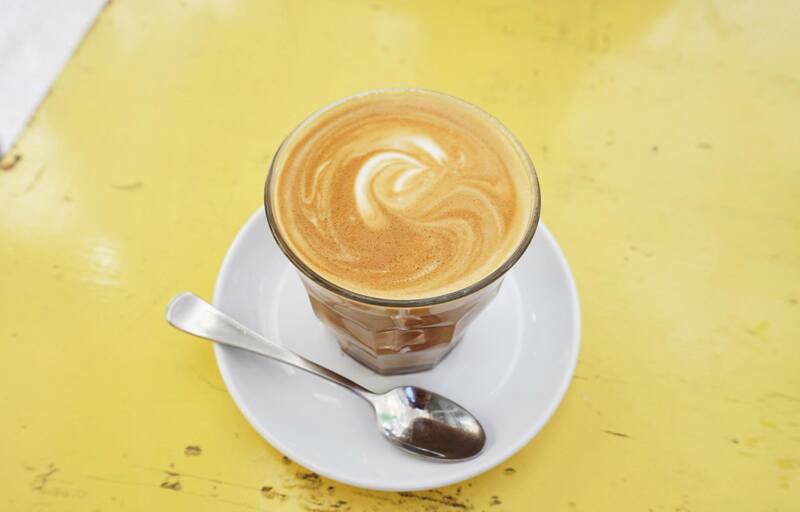 Great coffee – I didn’t get a chance to find out what beans they actually use but it was definitely good, good enough that I even ordered a second round! 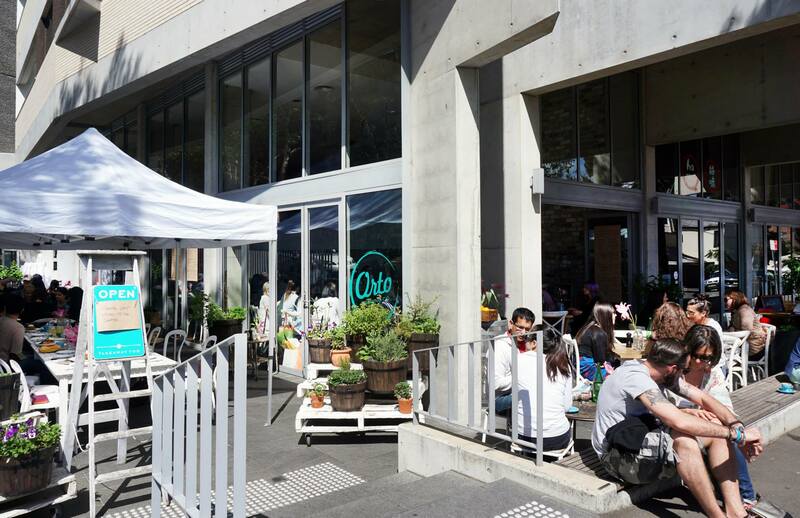 Overall a great little cafe to visit on a lazy weekend, great trendy design with a relaxed atmosphere as expected from an inner city cafe. Of course like any other popular cafe there was a wait time of about 15-20 minutes. 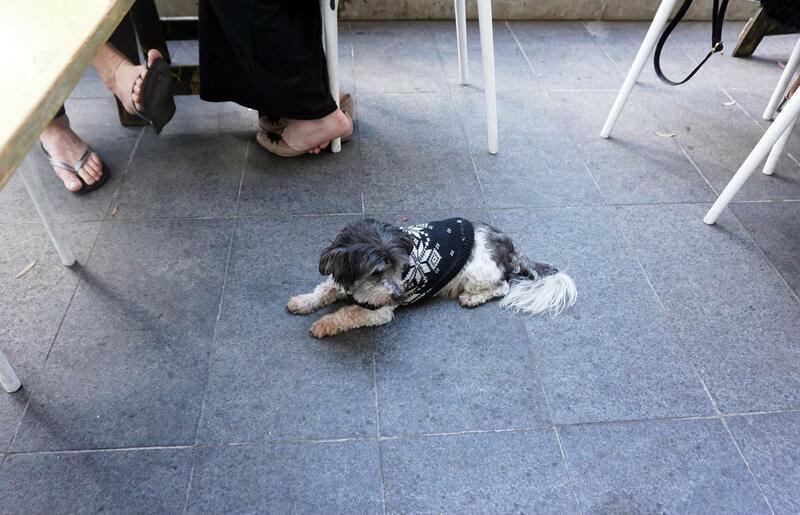 There also appears to be two resident dogs in the cafe which everyone adores! mmm polenta with blue cheese sauce sounds amazing!